GetDivorcePapers.com provides professionally completed, 100% court-approval, money-back guaranteed Oregon divorce forms. Just create an account, complete the interview, and file for divorce. Our case managers do all the work for you, and send the completed Oregon divorce forms when they are ready to be filed. If marriage has not been happened in Oregon, then either of the spouses is required to be resident here for six months prior to file the case. However, if marriage happened here, then condition for the time period of residency is lifted. Papers are to be submitted into the county of either of spouses. Three months waiting period is spent after the receiving of papers by the defendant. Irreversible breakdown to the relationship without any intention of spoiling it. If the marriage happened forcefully and one of the spouses was not willing for this decision. If either of the spouse is a minor. Any sort of mental illness in either of the spouse due to prolonged intake of drugs or alcohol. In Oregon, misconduct between the two spouses is only considered when the child custody becomes a major issue between them. Relationship of the child with other family members. Openness showed by either of the parents for parent child meeting for the other spouse. Interests of the both spouses towards child and his or her welfare. Any symptoms of child abuse or domestic violence. Oregon is considered to be an equitable distribution state. It divides all the property of the spouses no matter if it is separate or marriage property. It considers no role of either of spouse in acquisition of property unless proofs are shown in the court. All gifts and inheritances are also subjected to the division. Following factors are considered for the property distribution. Total worth of the assets held by the spouses. Any liability of tax or lien on the property. Contribution of each spouse in acquisition of property if proved. All sorts of retirement facilities and benefits. Oregon grants any of the three types of spousal supports to the needy spouse. Here are the details for these three types. Work experience, training and skills of spouse. Financial needs and tax liabilities on the spouses. Duration of marriage and contribution made by either of spouses. Tax obligations on both spouses. Health conditions and age of spouses, and duration of marriage. Needs of the child and capacities of parent. Financial strength of the parents. 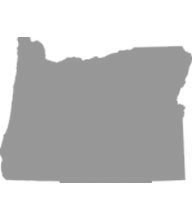 Oregon has set forth the chart to determine the amount of child support. However this amount can be reassessed if it turns out to be unjust for either of the parent. Oregon offers the chance for the mediation for the spouses and delays the proceedings for 45 days. This request for the reconciliation can also be made by either of the spouses. There is no need of a lawyer when applying for divorce in the state of Oregon. A divorce case which is filed without any help of an attorney in any of the states is known as Pro Se Divorce. Literally, Pro Se is a Latin phrase and it means "on her or his own". Process of getting the divorce without the help of lawyer may vary from one State to another. These types of divorces are perfectly legal and enforceable in Oregon, and are actually very convenient. Usually, once settlements have been made regarding property distribution and custody matters among the spouses in case of a mutual divorce, Pro Se Divorces are filed.